Have you been waiting for a foldable smartphone? I had an LG Envy 2, a foldable phone. It was nice to have 2 options when using. Mostly got it for the keyboard, but it had some nice app- type functions. I even watched a few tv shows on the inside tiny screen. I'd be interested to see what Samsung comes up with. Don't see where i would want a foldable phone. Would be too easy to mess up. They have talked about one for yrs. I think that this will be possible in 3-4 years, if the technology advances. I find the concept interesting and I'm curious to see what the device looks like when it is released. I am not excited about a potential $1500.00 USD price. That's a lot of clams to pay to be a tester. I'm generally an early adopter but I wouldn't touch such a drastic change in displays untill it's proven. Not interested. Don't really see the point. I understand that their are some niche areas that might have use for such a thing, but I kind of feel like this is "wow factor" innovation for innovation's sake in an attempt to keep consumers buying the next best thing. I just see so many issues arising with this form factor. Just my opinion. Laura Knotek and J Dubbs like this. Same here. I don't see a compelling usage case for my needs. Additionally, I feel that there will be extensive hardware issues, such as devices splitting in half. A device splitting in half is about as extensive as it gets. I agree, though. I think they'll be lots of issues over the first few iterations of such a device. 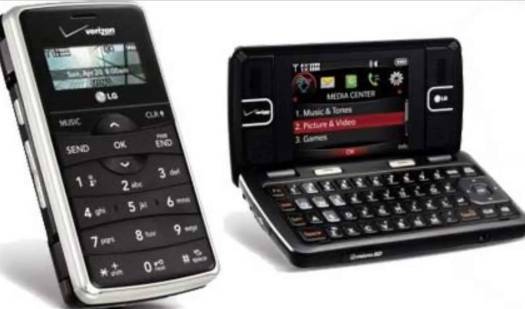 Completely forgot about a samsung flip phone. Thinking seriously about a pixel 3 XL with no pre installed Bixby or Samsung Pay. Gonna be a long wait for Oct 9th. Not so long really... I wanted a blue vzw Note9 with 512gb and VZW told me they should have them in some stores by October 12 and it's already been out a while. I can buy a 256gb XS Max TODAY and it just came out yesterday. Samsung really screwed the pooch on the 512's and failing to offer a black or dark gray Note 9. I will give the Pixel a good long look if I don't buy an XS MAX first. Don't want a iphone platform myself. I don't think that such feature will be durable enough, I think I just love my phone as it is. It’s clever, but it doesn’t grab my interest. I'm not convinced this concept will take off. I see this as an expensive, niche product. Firstly, it'll be heavy in the hand and in the pocket. It'll also be thick, kind of negating it's small size. As the screen folds out to a small tablet, battery life will be a major issue. And as so many people have ipads and tablets, I can't see much of the use. It'll only be handy for those fewer and fewer people who only have a phone. If the open version were 16/9 I'd be interested. I'm not convinced by what I have seen so far. Those who have tablets that get old and no longer work, also have phones, may be more interested in this for their next purchase. Do you carry your phone and tablet everywhere? I would like to see what it's all about but that's it. I don't think it's practical for my daily usage. Foldable phone has to be easy to break. And since it gets dropped all the time and its in my pocket. Why would I even consider a foldable phone. Who cares about insurance it you break it easy. Most people don't drop their valuables on a regular basis. problem with adware on UMX android v6.0.1 cell phone from assurance wireless, can you help? my Galaxy S7 seems to have reset. no applications and no edge screen.